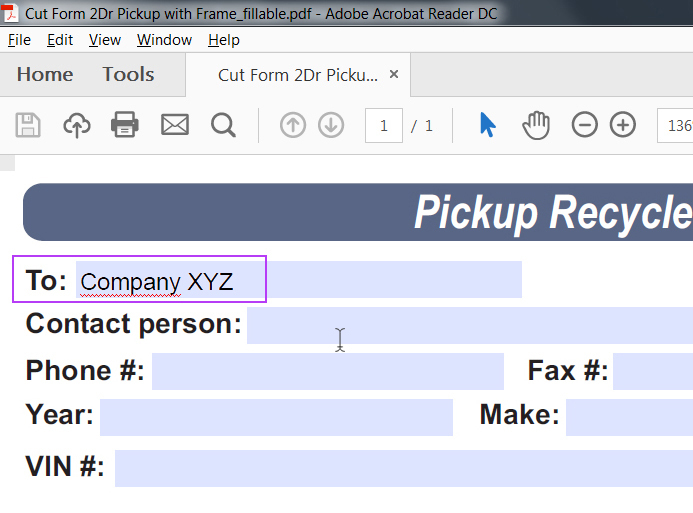 To fill out the electronic body cut forms you will need the new Adobe Acrobat Reader DC that allows you to type directly onto the PDF. You will also be able to outline the exact area in which you need the cut. Please make sure to electronically sign your name on the form. 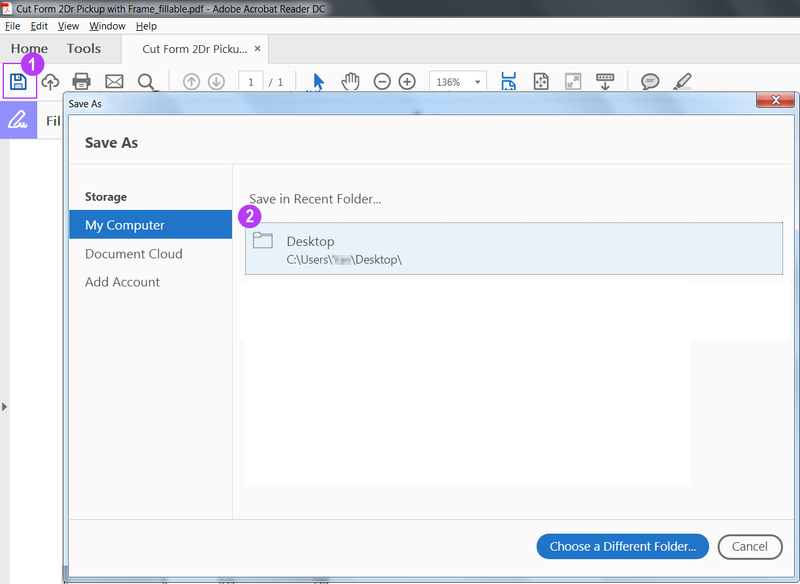 Use the FREE download for the new Adobe Acrobat Reader DC and install it onto your computer. 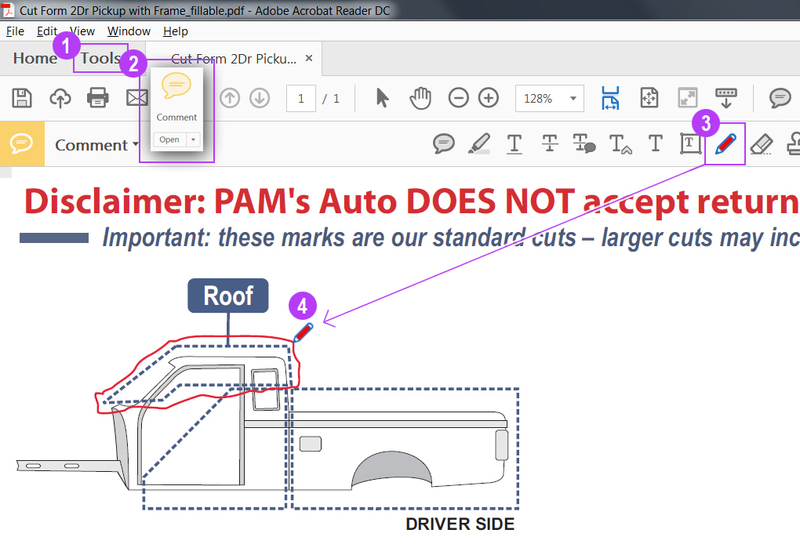 Note: if you use older versions of Adobe PDF reader you WON'T be able to draw onto it or sign it. Please don't proceed until you have the new Adobe Acrobat Reader DC installed on your computer. 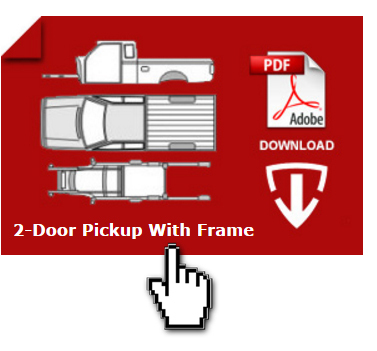 After Adobe Reader DC has been dowloaded and installed, please go to our Body Cut Forms page and download the form that fits the type of vehicle you are requesting. Please read the steps below to fill out the form correctly. 1. 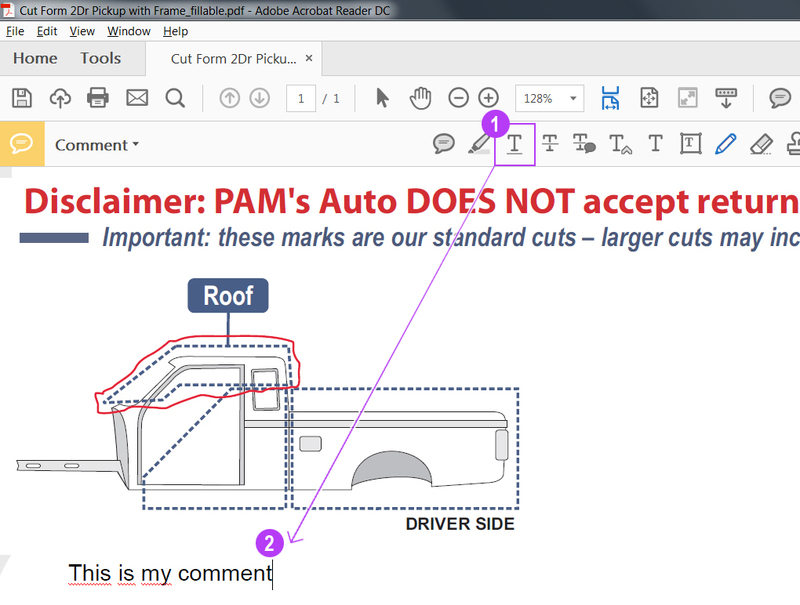 Click on the tab "Tools" and then onto the icon "Comments". 2. You will find a set of new icons (tools) available. 4. Draw out the section of the cut that you will need for your repair. 1. Click on the "Tools" tab. 2. Then onto the icon "Fill and Sign". 3. Click the pencil in the middle. 4. 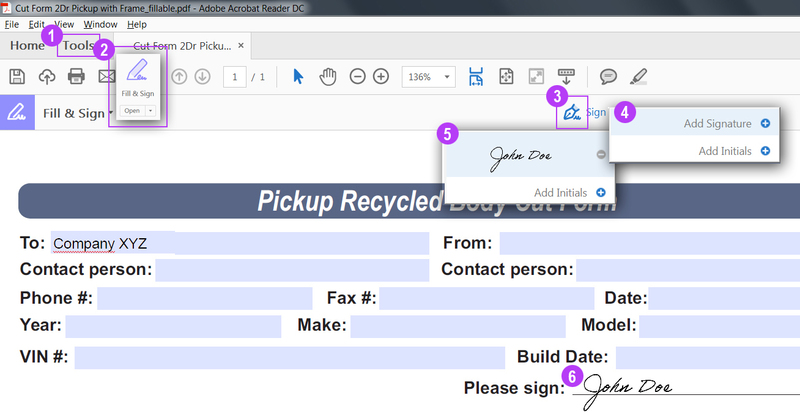 Click the option "Add Signature". 5. Type in your name and then click the "Apply" button. 6. Finnaly drag your signature to the proper place. 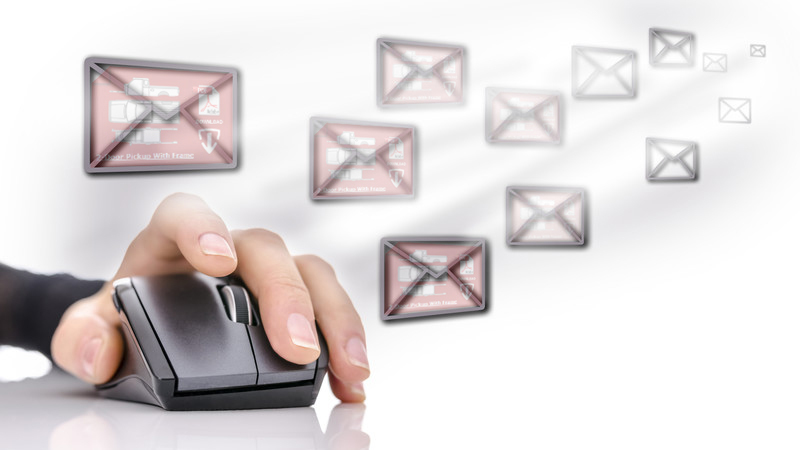 The list of sales people and emails can be found on our staff page.